It’s the reason why your hair is a mess, your clothes look melted and you get a shock every time you reach for a doorknob. Static electricity can be embarrassing and literally a pain that wreaks havoc during the winter months. When the air is dry, static cling is everywhere. there are also many homemade solutions to reduce this winter irritation. Here’s how to control static electricity all around you. * Humidifier: Raising the humidity level in your home via a humidifier will reduce random static shocks, static cling and static in your hair. The water particles in the humid air will break up static charge quicker. Do you know you can kill your computer with static!? * My Mom always did this For a budget-friendly humidifier, simply simmer water on the stove. Throw in a spice like cinnamon or citrus rinds and you’ll also get an inexpensive air freshener. * Bring in nature: Incorporate indoor plants and bowls of water around the house to add moisture to your home.This never worked for me. * Dryer sheets: Stop static electricity where it starts by throwing in fabric softener sheets or dryer balls in the machine along with your clothes. This will minimize the fabrics’ contact with one another. Already dressed? For a quick fix, simply rub dryer sheets over the clothes you’re wearing to remove static cling. These sheets will also neutralize the electric charge in your hair. * Damp washcloth or towel: Placing a damp cloth in the dryer during the last 10-20 minutes of the cycle will help prevent the air from becoming too dry. 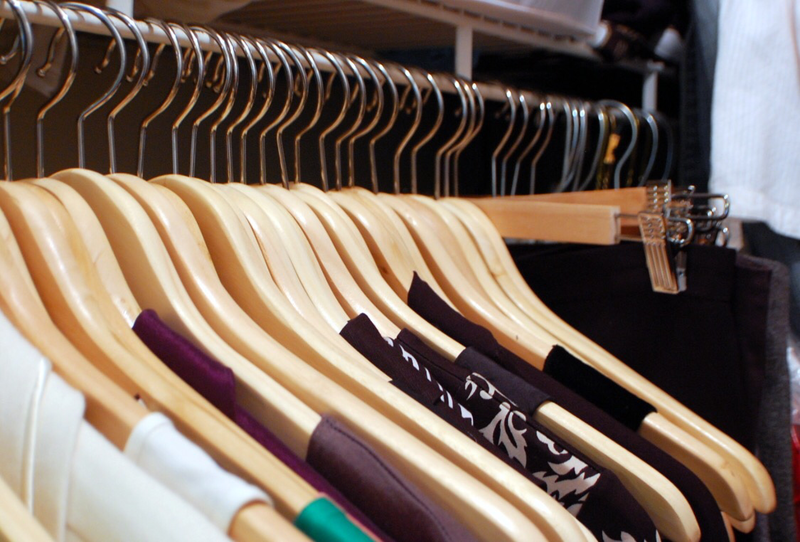 * Wire hanger: Glide the long side of a wire or metal hanger over your clothes to remove static electricity. * Lotion: After a shower or bath, add moisture to your body. The lotion will act as a barrier and prevent static electricity from building up. Rub lotion on your hands, legs and even a small amount to your hair. Then gently rub your clothes to diffuse shocks directly there as well.This also never worked for me. * Homemade Static Guard: According to to Joey Green, author of Joey Green’s Fix-It Magic, mixing one cap full of Downy fabric softener in a spray bottle filled with water will give you the DIY version of Static Guard. Spray the mixture on affected areas of clothing. This I am going to try today!!! * Homemade Static Guard: Sometimes there can be an immense about of static electricity charge in carpets, so much that you’ll receive an electric shock every time you touch someone or something metal. To reduce the static and prevent shocks, the same mixture used on clothes can be applied to carpets. Shake mixture and lightly spray over the carpet. * Use conditioner: The combination of dry winter air and indoor heating often equates to a style-resistant, frizzy mess of static hair. * Using a rich conditioner will add moisture and reduce the static in your hair. * Avoid wool hats: Wool generates friction, and as a result produces static electricity. Opt for cotton or cashmere headgear, or wear a satin bonnet underneath your wool cap to reduce hat hair. * Brush it away: Spray hairspray or leave-in conditioner in a brush and comb it through your hair. Switching from a nylon or synthetic brush to one with boar bristles will also de-electrify runaway strands. * Finishing products: Adding a few drops of silicone-based serum or conditioning oil to your styling routine will create a barrier that eases the electrical charge in your hair. * Fabric softener sheets: These handy static-fighters are prime for taming flyaway strands, especially if you have fine hair and fear excess styling products. Slide a sheet over hair to get static under control. * Clothes: To keep down static electricity, opt to wear natural fibers like cotton in the winter instead of synthetics like nylon or polyester. Synthetic fabric sliding along car seats can generate a substantial charge leading to those annoying static shocks. * Fabric softener sheets: Once again, these handy sheets come to the rescue. Rub car seats with a dryer sheet every couple of weeks to reduce static cling and shocks. * Metal: When exiting the the car, touch the handle before you slide across the seat. This will break up the charge instead of letting it build up. Also, before you enter the car, touch the metal door handle first with your keys or some other metal object. This technique will transfer the shock from metal to metal and you won’t feel a thing. The “metal to metal” strategy can also be applied to household objects, such as doorknobs and kitchen towel racks using keys or silverware.